It's the middle of my peak flying season and it appears to be peak meetings time at the council too; perhaps it's something to do with the summer holidays or more likely the vigorous debate that surrounds the asset disposal programme which now lies partly within my own portfolio and is presently under a review. This last week, I've been back in the 'Sim' again to prepare for my mandatory annual re-test. It's always a big leap back into a multi-engine, 'glass cockpit' with lots of 'whistles & bells' plus spoken warnings, from the single-engined aircraft which counts as my main office during the summer months. 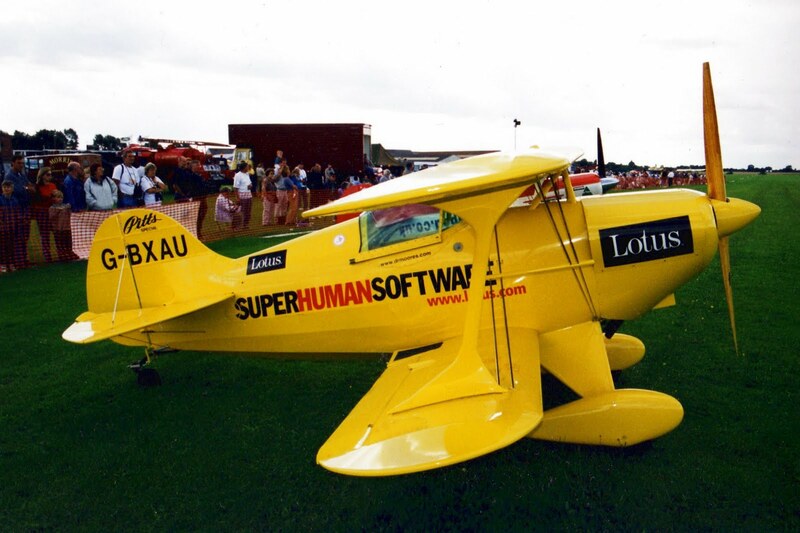 Tidying up my photo library this evening, I stumbled across this old photo of a Pitts S1 that I owned that was sponsored by Lotus Development. Remember them? They were bigger than Microsoft twenty years ago in a distant time before Windows. The little 'S1' was a bit of a beast to fly. Weighing hardly anything, it felt like strapping a very powerful racing car engine into a very small go-kart with equivalent torque. It could take-off almost vertically and hang on the propeller. With no visibility over the engine and a high stall speed, landing was the most 'exciting' manoever and felt rather like throwing a bathtub on casters down a runway at 90 knots and praying it wouldn't bounce. You've got to be a little crazy to fly the Pitts S1 rather than the more popular two seat and heavier S2, because it's so twitchy with a bite to match. These days I prefer to fly something which is less likely to rearrange one's internal organs in under a second!